The Special Activities Division (SAD) is a division in the United States Central Intelligence Agency responsible for covert operations known as "special activities." Within SAD there are two separate groups, SAD/SOG for tactical paramilitary operations and SAD/PAG for covert political action. Special Operations Group (SOG) is the department within SAD responsible for operations that include high threat military or covert operations with which the U.S. government does not wish to be overtly associated. As such, members of the unit (called Paramilitary Operations Officers and Specialized Skills Officers) normally do not carry any objects or clothing (e.g., military uniforms) that would associate them with the United States government. If they are compromised during a mission, the United States government may deny all knowledge. SOG is generally considered the most secretive special operations force in the United States. The group selects operatives from other tier one special mission units such as Delta Force, DEVGRU, ISA, and 24th STS, as well as other United States special operations forces, such as USNSWC, MARSOC, US Army Special Forces, SEALs, SWCC, Force Recon, Pararescuemen, Deployable Operations Group, Combat Controllers, and the Army Rangers. SOG Paramilitary Operations Officers account for a majority of Distinguished Intelligence Cross and Intelligence Star recipients during any given conflict or incident which elicits CIA involvement. An award bestowing either of these citations represents the highest honors awarded within the CIA organization in recognition of distinguished valor and excellence in the line of duty. SAD/SOG operatives also account for the majority of the stars displayed on the Memorial Wall at CIA headquarters indicating that the agent died while on active duty. Political Action Group (PAG) is responsible for covert activities related to political influence, psychological operations and economic warfare. The rapid development of technology has added cyberwarfare to their mission. Tactical units within SAD are also capable of carrying out covert political action while deployed in hostile and austere environments. A large covert operation usually has components that involve many, or all, of these categories, as well as paramilitary operations. Political and Influence covert operations are used to support U.S. foreign policy. Often overt support for one element of an insurgency would be counter-productive due to the impression it would have on the local population. In such cases, covert assistance allows the U.S. to assist without damaging these elements in the process. Many of the other activities (such as propaganda, economic and cyber) support the overall political effort. There have been issues in the past with attempts to influence the US media such as in Operation Mockingbird. However, these activities are now subject to the same oversight as all covert action operations. SAD provides the President of the United States with an option when covert military and/or diplomatic actions are not viable or politically feasible. SAD can be directly tasked by the President of the United States or the National Security Council at the President's direction. This is unlike any other U.S. special mission force. However, SAD/SOG has far fewer members than most of the other special missions units, such as the U.S. Army's 1st Special Forces Operational Detachment-Delta (Delta Force) or Naval Special Warfare Development Group (DEVGRU). As the action arm of the DO, SAD/SOG conducts direct action missions such as raids, ambushes, sabotage, targeted killings and unconventional warfare (e.g., training and leading guerrilla and military units of other countries in combat). SAD/SOG also conducts special reconnaissance, that can be either military or intelligence driven, but is carried out by Paramilitary Officers (also called Paramilitary Operatives) when in "non-permissive environments". Paramilitary Operations Officers are also fully trained case officers (i.e., "spy handlers") and as such conduct clandestine human intelligence (HUMINT) operations throughout the world. SAD/SOG officers are selected from the most elite U.S. military units. The political action group within SAD conducts the deniable psychological operations, also known as black propaganda, as well as "Covert Influence" to effect political change as an important part of any Administration's foreign policy. Covert intervention in a foreign election is the most significant form of political action. This could involve financial support for favored candidates, media guidance, technical support for public relations, get-out-the-vote or political organizing efforts, legal expertise, advertising campaigns, assistance with poll-watching, and other means of direct action. Policy decisions could be influenced by assets, such as subversion of officials of the country, to make decisions in their official capacity that are in the furtherance of U.S. policy aims. In addition, mechanisms for forming and developing opinions involve the covert use of propaganda. Propaganda includes leaflets, newspapers, magazines, books, radio, and television, all of which are geared to convey the U.S. message appropriate to the region. These techniques have expanded to cover the internet as well. They may employ officers to work as journalists, recruit agents of influence, operate media platforms, plant certain stories or information in places it is hoped it will come to public attention, or seek to deny and/or discredit information that is public knowledge. In all such propaganda efforts, "black" operations denote those in which the audience is to be kept ignorant of the source; "white" efforts are those in which the originator openly acknowledges himself; and "gray" operations are those in which the source is partly but not fully acknowledged. Some examples of political action programs were the prevention of the Italian Communist Party (PCI) from winning elections between 1948 and the late 1960s; overthrowing the governments of Iran in 1953, and Guatemala in 1954; arming rebels in Indonesia in 1957; and providing funds and support to the trade union federation Solidarity following the imposition of martial law in Poland after 1981. SAD's existence became better known as a result of the "Global War on Terror". 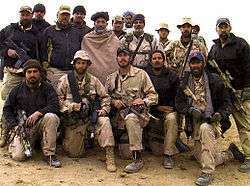 Beginning in autumn of 2001, SAD/SOG paramilitary teams arrived in Afghanistan to hunt down al-Qaeda leaders, facilitate the entry of U.S. Army Special Forces and lead the United Islamic Front for the Salvation of Afghanistan against the ruling Taliban. SAD/SOG units also defeated Ansar al-Islam in Iraqi Kurdistan prior to the invasion of Iraq in 2003 and trained, equipped, organized and led the Kurdish peshmerga forces to defeat the Iraqi army in northern Iraq. Despite being the most covert unit in U.S. Special Operations, numerous books have been published on the exploits of CIA paramilitary officers, including Conboy and Morrison's Feet to the Fire: CIA Covert Operations in Indonesia, and Warner's Shooting at the Moon: The Story of America's Clandestine War in Laos. Most experts consider SAD/SOG the premiere force for unconventional warfare (UW), whether that warfare consists of either creating or combating an insurgency in a foreign country. 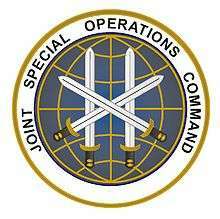 There remains some conflict between the National Clandestine Service and the more clandestine parts of the United States Special Operations Command (USSOCOM), such as the Joint Special Operations Command. This is usually confined to the civilian/political heads of the respective Department/Agency. The combination of SAD and USSOCOM units has resulted in some of the most notable successes of the wars in Iraq and Afghanistan, to include the locating and killing of Osama bin Laden. SAD/SOG has several missions. One of these missions is the recruiting, training, and leading of indigenous forces in combat operations. SAD/SOG and its successors have been used when it was considered desirable to have plausible deniability about U.S. support (this is called a covert operation or "covert action"). Unlike other special missions units, SAD/SOG operatives combine special operations and clandestine intelligence capabilities in one individual. These individuals can operate in any environment (sea, air or ground) with limited to no support. The Pentagon commissioned a study to determine whether the CIA or the U.S. Department of Defense (DoD) should conduct covert action paramilitary operations. Their study determined that the CIA should maintain this capability and be the "sole government agency conducting covert action." The DoD found that, even under U.S. law, it does not have the legal authority to conduct covert action, nor the operational agility to carry out these types of missions. The operation in May 2011 that resulted in the death of Osama bin Laden was a covert action under the authority of the CIA. SAD/SOG has several hundred officers, mostly former members of special operations forces (SOF) and a majority from the Joint Special Operations Command (JSOC). The CIA has also recruited individuals from within the agency. The CIA's formal position for these individuals is "Paramilitary Operations Officers" and "Specialized Skills Officers." Paramilitary Operations Officers attend the Clandestine Service Trainee (CST) program, which trains them as clandestine intelligence operatives (known as "Core Collectors" within the Agency). The primary strengths of SAD/SOG Paramilitary Officers are operational agility, adaptability, and deniability. They often operate in small teams, typically made up of six operators (with some operations being carried out by a single officer), all with extensive military special operations expertise and a set of specialized skills that does not exist in any other unit. As fully trained intelligence case officers, Paramilitary Operations Officers possess all the clandestine skills to collect human intelligence—and most importantly—to recruit assets from among the indigenous troops receiving their training. These officers often operate in remote locations behind enemy lines to carry out direct action (including raids and sabotage), counter-intelligence, guerrilla/unconventional warfare, counter-terrorism, and hostage rescue missions, in addition to being able to conduct espionage via HUMINT assets. Together, SAD/SOG contains a complete combined arms covert military. Paramilitary Operations Officers are the core of each branch and routinely move between the branches to gain expertise in all aspects of SOG. As such, Paramilitary Operations Officers are trained to operate in a multitude of environments. Because these officers are taken from the most highly trained units in the U.S. military and then provided with extensive additional training to become CIA clandestine intelligence officers, many U.S. security experts assess them as the most elite of the U.S. special missions units. SAD, like most of the CIA, requires a bachelor's degree to be considered for employment. Many have advanced degrees such as Master's and law degrees. Many candidates come from notable schools, many from Ivy League institutions and United States Service Academies, but the majority of recruits today come from middle-class backgrounds. SAD officers are trained at Camp Peary, Virginia (also known as "The Farm") and at privately owned training centers around the United States. They also train its personnel at "The Point" (Harvey Point), a facility outside of Hertford, North Carolina. In addition to the eighteen months of training in the Clandestine Service Trainee (CST) Program required to become a clandestine intelligence officer, Paramilitary Operations Officers are trained to a high level of proficiency in the use and tactical employment of an unusually wide degree of modern weaponry, explosive devices and firearms (foreign and domestic), hand to hand combat, high performance/tactical driving (on and off road), apprehension avoidance (including picking handcuffs and escaping from confinement), improvised explosive devices, cyberwarfare, covert channels, Military Free Fall parachuting, combat and commercial SCUBA and closed circuit diving, proficiency in foreign languages, surreptitious entry operations (picking or otherwise bypassing locks), vehicle hot-wiring, Survival, Evasion, Resistance and Escape (SERE), extreme survival and wilderness training, combat EMS medical training, tactical communications, and tracking. While the World War II Office of Strategic Services (OSS) was technically a military agency under the Joint Chiefs of Staff, in practice it was fairly autonomous of military control and enjoyed direct access to President Franklin D. Roosevelt. Major General William Joseph Donovan was the head of the OSS. Donovan was a soldier and Medal of Honor recipient from World War I. He was also a lawyer and former classmate of FDR at Columbia Law School. Like its successor, the CIA, OSS included both human intelligence functions and special operations paramilitary functions. Its Secret Intelligence division was responsible for espionage, while its Jedburgh teams, a joint U.S.-UK-French unit, were forerunners of groups that create guerrilla units, such as the U.S. Army Special Forces and the CIA. OSS' Operational Groups were larger U.S. units that carried out direct action behind enemy lines. Even during World War II, the idea of intelligence and special operations units not under strict military control was controversial. OSS operated primarily in the European Theater of Operations (ETO) and to some extent in the China-Burma-India Theater, while General of the Army Douglas MacArthur was extremely reluctant to have any OSS personnel within his area of operations. One of the OSS' greatest accomplishments during World War II was its penetration of Nazi Germany by OSS operatives. The OSS was responsible for training German and Austrian commandos for missions inside Nazi Germany. Some of these agents included exiled communists and socialist party members, labor activists, anti-Nazi POWs, and German and Jewish refugees. At the height of its influence during World War II, the OSS employed almost 24,000 people. OSS Paramilitary Officers parachuted into many countries then behind enemy lines, including France, Norway, Greece and The Netherlands. In Crete, OSS paramilitary officers linked up with, equipped and fought alongside Greek resistance forces against the Axis occupation. OSS was disbanded shortly after World War II, with its intelligence analysis functions moving temporarily into the U.S. Department of State. Espionage and counterintelligence went into military units, while paramilitary and other covert action functions went into the Office of Policy Coordination set up in 1948. Between the original creation of the CIA by the National Security Act of 1947 and various mergers and reorganizations through 1952, the wartime OSS functions generally ended up in CIA. The mission of training and leading guerrillas in due course went to the United States Army Special Forces, but those missions required to remain covert were performed by the (Deputy) Directorate of Plans and its successor the Directorate of Operations of the CIA. The paramilitary operations of CIA were 1962 centralized in the Special Operations Division (SOD), the predecessor of SAD. 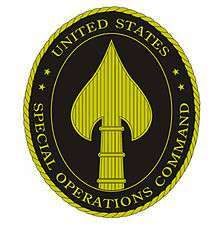 The direct descendant of the OSS' Special Operations is the CIA's Special Activities Division. According to a book by retired CIA officer John Kenneth Knaus, entitled Orphans Of The Cold War: America And The Tibetan Struggle For Survival, Gyalo Thondup, the older brother of the 14th (and current) Dalai Lama, sent the CIA five Tibetan recruits. These recruits were then trained in paramilitary tactics on the island of Saipan in the Northern Marianas. Shortly thereafter, the five men were covertly returned to Tibet “to assess and organize the resistance” and selected another 300 Tibetans for training. U.S. assistance to the Tibetan resistance ceased after the 1972 Nixon visit to China, after which the United States and China normalized relations. The CIA sponsored a variety of activities during the Korean War. These activities included maritime operations behind North Korean lines. 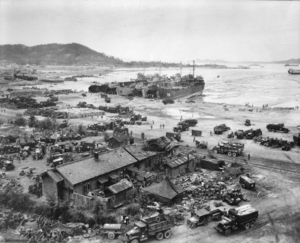 Yong Do Island, connected by a rugged isthmus to Pusan, served as the base for those operations. These operations were carried out by well-trained Korean guerrillas. The four principal U.S. advisers responsible for the training and operational planning of those special missions were Dutch Kramer, Tom Curtis, George Atcheson and Joe Pagnella. All of these Paramilitary Operations Officers operated through a CIA front organization called the Joint Advisory Commission, Korea (JACK), headquartered at Tongnae, a village near Pusan, on the peninsula's southeast coast. These paramilitary teams were responsible for numerous maritime raids and ambushes behind North Korean lines, as well as prisoner of war rescue operations. These were the first maritime unconventional warfare units that trained indigenous forces as surrogates. 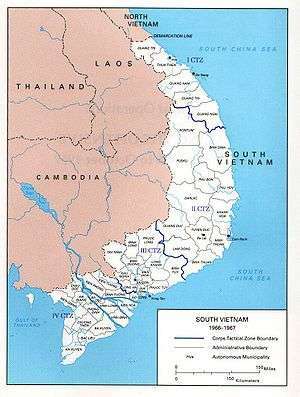 They also provided a model, along with the other CIA-sponsored ground based paramilitary Korean operations, for the Military Assistance Command, Vietnam-Studies and Observations Group (MACV-SOG) activities conducted by the U.S. military and the CIA/SOD in Vietnam. In addition, CIA paramilitary ground-based teams worked directly for U.S. military commanders, specifically with the 8th Army, on the "White Tiger" initiative. This initiative included inserting South Korean commandos and CIA Paramilitary Operations Officers prior to the two major amphibious assaults on North Korea, including the landing at Inchon. The National Liberation Army of Bolivia (ELN-Ejército de Liberación Nacional de Bolivia) was a communist guerrilla force that operated from the remote Ñancahuazú region against the pro-U.S. Bolivian government. They were joined by Che Guevara in the mid-1960s. The ELN was well equipped and scored a number of early successes against the Bolivian army in the difficult terrain of the mountainous Camiri region. In the late 1960s, the CIA deployed teams of Paramilitary Operations Officers to Bolivia to train the Bolivian army in order to counter the ELN. These teams linked up with U.S. Army Special Forces and Bolivian Special Forces to track down and capture Guevara, who was a special prize because of his leading role in the Cuban Revolution. On October 9, 1967, Guevara was executed by Bolivian soldiers on the orders of CIA paramilitary operative Félix Rodríguez shortly after being captured, according to CIA documents. The original OSS mission in Vietnam under Major Archimedes Patti was to work with Ho Chi Minh in order to prepare his forces to assist the United States and their Allies in fighting the Japanese. After the end of World War II, the US agreed at Potsdam to turn Vietnam back to their previous French rulers and in 1950 the US began providing military aid to the French. CIA Paramilitary Operations Officers trained and led Hmong tribesmen in Laos and Vietnam, and their actions of these officers were not known for several years. Air America was the air component of the CIA's paramilitary mission in Southeast Asia and was responsible for all combat, logistics and search and rescue operations in Laos and certain sections of Vietnam. The ethnic minority forces numbered in the tens of thousands and they conducted direct actions mission, led by Paramilitary Operations Officers, against the communist Pathet Lao forces and their North Vietnamese allies. Elements of the Special Operations Division were seen in the CIA's Phoenix Program. One component of the Phoenix Program was involved in the capture and killing of suspected Viet Cong (National Liberation Front – NLF) members. Between 1968 and 1972, the Phoenix Program captured 81,740 National Liberation Front of South Vietnam (NLF or Viet Cong) members, of whom 26,369 were killed. This was a large proportion of U.S. killings between 1969 and 1971. The program was also successful in destroying their infrastructure. By 1970, communist plans repeatedly emphasized attacking the government's "pacification" program and specifically targeted Phoenix agents. The NLF also imposed quotas. In 1970, for example, communist officials near Da Nang in northern South Vietnam instructed their agents to "kill 400 persons" deemed to be government "tyrant[s]" and to “annihilate” anyone involved with the "pacification" program. Several North Vietnamese officials have made statements about the effectiveness of Phoenix. MAC-V SOG (Studies and Observations Group) (which was originally named the Special Operations Group, but was changed for cover purposes), was created and active during the Vietnam War. While CIA was just one part of MAC-V SOG, it did have operational control of some of the programs. Many of the military members of MAC-V SOG joined the CIA after their military service. The legacy of MAC-V SOG continues within SAD's Special Operations Group. Also in the 1970s, the U.S. Navy, the National Security Agency (NSA) and SAD/SOG  conducted Operation Ivy Bells and a series of other missions to place wire taps on Soviet underwater communications cables. These operations were covered in detail in the 1998 book Blind Man's Bluff: The Untold Story of American Submarine Espionage. In the 1985 edition of "Studies in Intelligence", the CIA's in-house journal that outsiders rarely get to see, the CIA describes the "staggering expense and improbable engineering feats" that culminated in the August 1974 mission. SAD sent in teams of Paramilitary Operations Officers into Somalia prior to the U.S. intervention in 1992. On December 23, 1992, Paramilitary Officer Larry Freedman became the first casualty of the conflict in Somalia. Freedman was a former Army Delta Force operator who had served in every conflict that the U.S. was involved in, both officially and unofficially, since Vietnam. Freedman was killed while conducting special reconnaissance in advance of the entry of U.S. military forces. His mission was completely voluntary, as it required entry into a very hostile area without any support. Freedman was awarded the Intelligence Star on January 5, 1993 for his "extraordinary heroism". SAD/SOG teams were key in working with JSOC and tracking high-value targets (HVT), known as "Tier One Personalities". Their efforts, working under extremely dangerous conditions with little to no support, led to several very successful joint JSOC/CIA operations. In one specific operation, a CIA case officer, Michael Shanklin and codenamed "Condor", working with a CIA Technical Operations Officer from the Directorate of Science and Technology, managed to get a cane with a beacon in it to Osman Ato, a wealthy businessman, arms importer, and Mohammed Aideed, a money man whose name was right below Mohamed Farrah Aidid’s on the Tier One list. From 2010 to 2013, the CIA set up the Somalia National Intelligence and Security Agency (NISA) by providing training, funding and diplomatic access. In the same time period, the EU and UN has spent millions of dollars for the military training of the Somali National Army (SNA). NISA is considered a professional Somali security force that can be relied upon to neutralize the terrorist threat. This force responded to the complex al-Shabaab attack on the Banadir Regional Courthouse in Mogadishu which killed 25 civilians. NISA's response however saved 100s and resulted in the death of all the al-Shabaab guerrillas involved. Significant events during this timeframe included the targeted drone strikes against British al-Qaida operative Bilal el-Berjawi  and Moroccan al-Qaida operative Abu Ibrahim. It also included the rescue of U.S. citizen Jessica Buchanan by U.S. Navy SEALs. All likely aided by intelligence collection efforts in Somalia. During the Soviet war in Afghanistan in the 1980s, Paramilitary Operations Officers were instrumental in equipping Mujaheddin forces against the Soviet Army. 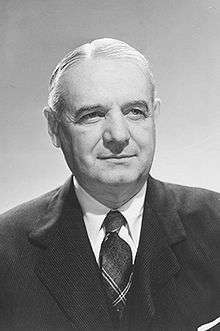 Although the CIA in general, and a Texas congressman named Charlie Wilson in particular, have received most of the attention, the key architect of this strategy was Michael G. Vickers. Vickers was a young Paramilitary Operations Officer from SAD/SOG. The CIA's efforts have been given credit for assisting in ending the Soviet involvement in Afghanistan and bringing Taliban to power. What made the Afghan campaign a landmark in the U.S. Military's history is that it was prosecuted by Special Operations forces from all the services, along with Navy and Air Force tactical power, operations by the Afghan Northern Alliance and the CIA were equally important and fully integrated. No large Army or Marine force was employed". The valor exhibited by Afghan and American soldiers, fighting to free Afghanistan from a horribly cruel regime, will inspire even the most jaded reader. The stunning victory of the horse soldiers – 350 Special Forces soldiers, 100 C.I.A. officers and 15,000 Northern Alliance fighters routing a Taliban army 50,000 strong – deserves a hallowed place in American military history". Small and highly agile paramilitary mobile teams spread out over the countryside to meet with locals and gather information about the Taliban and al-Qa'ida. During that time, one of the teams was approached in a village and asked by a young man for help in retrieving his teenage sister. He explained that a senior Taliban official had taken her as a wife and had sharply restricted the time she could spend with her family. The team gave the man a small hand-held tracking device to pass along to his sister, with instructions for her to activate it when the Taliban leader returned home. The team responded to her emergency signal, capturing the senior Taliban official and rescuing the sister. The siblings' tearful reunion left the team at a loss for words—a rarity for the normally loud warriors of CIA's Special Activities Division. In December 2001, SAD/SOG and the Army's Delta Force tracked down Osama bin Laden in the rugged mountains near the Khyber Pass in Afghanistan. Former CIA station chief Gary Berntsen as well as a subsequent Senate investigation claimed that the combined American special operations task force was largely outnumbered by al-Qaeda forces and that they were denied additional US troops by higher command. The task force also requested munitions to block the avenues of egress of bin Laden, but that request was also denied. The team allegedly uncovered evidence in the subsequent site exploration that bin Laden's ultimate aim was to obtain and detonate a nuclear device in a terrorist attack. According to other press reports, SAD were ineffectual and "Bin Laden and bodyguards walked uncontested out of Tora Bora and disappeared into Pakistan's unregulated tribal area." According to the current and former intelligence officials, General McChrystal also had his own preferred candidate for the Chief of Station (COS) job, a good friend and decorated CIA paramilitary officer. The officer had extensive experience in war zones, including two previous tours in Afghanistan with one as the Chief of Station, as well as tours in the Balkans, Baghdad and Yemen. He is well known in CIA lore as "the man who saved Hamid Karzai's life when the CIA led the effort to oust the Taliban from power in 2001". President Karzai is said to be greatly indebted to this officer and was pleased when the officer was named chief of station again. According to interviews with several senior officials, this officer "was uniformly well-liked and admired. A career paramilitary officer, he came to the CIA after several years in an elite Marine unit". In January 2013, a CIA drone strike killed Mullah Nazir a senior Taliban commander in the South Waziristan area of Pakistan believed responsible for carrying out the insurgent effort against the US military in Afghanistan. Nazir's death degraded the Taliban. The U.S. has decided to lean heavily on CIA in general and SAD specifically in their efforts to withdraw from Afghanistan as it did in Iraq. There are plans being considered to have several US Military special operations elements assigned to CIA after the withdrawal. Viking Hammer would go down in the annals of Special Forces history—a battle fought on foot, under sustained fire from an enemy lodged in the mountains, and with minimal artillery and air support. SAD/SOG has been very active "on the ground" inside Pakistan targeting al-Qaeda operatives for Unmanned Aerial Vehicle (UAV) Predator strikes and along with USSOCOM elements they have been training Pakistani Special Service Group Commandos. Before leaving office, President George W. Bush authorized SAD's successful killing of eight senior al-Qaeda operatives via targeted air strikes. Among those killed were the mastermind of a 2006 plot to detonate explosives aboard planes flying across the Atlantic Rashid Rauf and the man thought to have planned the Islamabad Marriott Hotel bombing on September 20, 2008 that killed 53 people. The CIA Director authorized the continuation of these operations and on January 23, SAD/SOG performed killings of 20 individuals in northwestern Pakistan that were terrorists. Some experts assess that the CIA Director – at that time Leon Panetta – has been more aggressive in conducting paramilitary operations in Pakistan than his predecessor. A Pakistani security official stated that other strikes killed at least 10 insurgents, including five foreign nationals and possibly "a high-value target" such as a senior al-Qaeda or Taliban official. On February 14, the CIA drone killed 27 taliban and al-Qaeda fighters in a missile strike in south Waziristan, a militant stronghold near the Afghan border where al-Qaeda leaders Osama bin Laden and Ayman al-Zawahri were believed to be hiding. On August 6, 2009, the CIA announced that Baitullah Mehsud was killed by a SAD/SOG drone strike in Pakistan. The New York Times said, "Although President Obama has distanced himself from many of the Bush administration’s counter-terrorism policies, he has embraced and even expanded the C.I.A.’s covert campaign in Pakistan using Predator and Reaper drones". The biggest loss may be to "Osama bin Laden's al-Qa'ida". For the past eight years, al-Qaeda had depended on Mehsud for protection after Mullah Mohammed Omar fled Afghanistan in late 2001. "Mehsud's death means the tent sheltering Al Qaeda has collapsed," an Afghan Taliban intelligence officer who had met Mehsud many times told Newsweek. "Without a doubt he was Al Qaeda's No. 1 guy in Pakistan," adds Mahmood Shah, a retired Pakistani Army brigadier and a former chief of the Federally Administered Tribal Area, or FATA, Mehsud's base. In January 2010, al-Qaeda in Pakistan announced that Lashkar al-Zil leader Abdullah Said al Libi was killed in a drone missile strike. Neither al-Qaeda nor the US has revealed the date of the attack that killed Libi. 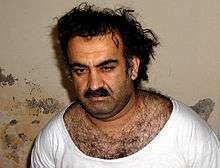 On January 14, 2010, subsequent to the suicide attack at Camp Chapman, the CIA located and killed the senior Taliban leader in Pakistan, Hakimullah Mehsud. Mehsud had claimed responsibility in a video he made with the suicide bomber Humam Khalil Abu-Mulal al-Balawi. On February 5, 2010, the Pakistani Inter-Services Intelligence (ISI) and CIA's SAD/SOG conducted a joint raid and apprehended Mullah Abdul Ghani Baradar. Baradar was the most significant Taliban figure to be detained since the beginning of the Afghan War more than eight years ago until that date. He ranked second to Mullah Muhammad Omar, the Taliban’s founder and was known to be a close associate of Osama bin Laden. Mullah Baradar was interrogated by CIA and ISI officers for several days before news of his capture was released. This capture sent the message that the Taliban leadership is not safe in Afghanistan or Pakistan. "The seizure of the Afghan Taliban's top military leader in Pakistan represents a turning point in the U.S.-led war against the militants", U.S. officials and analysts said. Per Pakistani Interior Minister Rehman Malik, several raids in Karachi in early February netted dozens of suspected Afghan militants. In other joint raids that occurred around the same time, Afghan officials said that the Taliban "shadow governorsP for two provinces in northern Afghanistan had also been detained. Mullah Abdul Salam, the Taliban’s leader in Kunduz, and Mullah Mir Mohammed of Baghlan were captured in Akora Khattack. The operation in the Bilal military cantonment area in the city of Abbottabad resulted in the acquisition of extensive intelligence on the future attack plans of al-Qaeda. The body of bin Laden was flown to Afghanistan to be identified and then out to the USS Carl Vinson for a burial at sea. DNA from bin Laden's body, compared with DNA samples on record from his dead sister, confirmed his identity. The operation was a result of years of intelligence work that included the Inter-Services Intelligence (ISI), the CIA, the DSS, and the Delta Force's, apprehension and interrogation of Khalid Sheik Mohammad (KSM), the discovery of the real name of the courier disclosed by KSM, the tracking, via signal intelligence, of the courier to the Abbottobad compound by paramilitary operatives and the establishment of a CIA safe house that provided critical advance intelligence for the operation. On March 9, 2007 alleged CIA Agent Robert Levinson was kidnapped from Iran's Kish Island. On July 7, 2008, Pulitzer Prize winning investigative journalist and author Seymour Hersh wrote an article in the New Yorker stating that the Bush Administration had signed a Presidential Finding authorizing the CIA to begin cross border paramilitary operations from Iraq and Afghanistan into Iran. These operations would be against Quds Force, the commando arm of the Iranian Revolutionary Guard, public and private sector strategic targets, and "high-value targets" in the war on terror. Also enrolled to support CIA objectives were the Mujahideen-e-Khalq, known in the West as the M.E.K., and the Baluchis insurgents. "The Finding was focused on undermining Iran's nuclear ambitions and trying to undermine the government through regime change," a person familiar with its contents said, and involved "working with opposition groups and passing money." Any significant effort against Iran by the Obama Administration would likely come directly from SAD. and in July 2010, Director Panetta chose a former chief of SAD as the new NCS Director. U.S. officials had made it clear that no U.S. troops would be "on the ground", making the use of covert paramilitary operatives the only alternative. During the early phases of the Libyan offensive of U.S. led air strikes, paramilitary operatives assisted in the recovery of a U.S. Air Force pilot who had crashed due to mechanical problems. There was speculation that President Obama issued a covert action finding in March 2011 that authorizes the CIA to carry out a clandestine effort to provide arms and support to the Libyan opposition. In October 2013, SAD was tasked with supporting moderate Syrian rebels to help engineer a stalemate and political settlement in the Syrian civil war. This program was considered too limited to have the desired outcome. However, with the rise of the Islamic State, SAD was given the overall command and control of the ground fight against them. This fight will cross the borders between Iraq and Syria. The CIA has always had a Special Activities Division, which secretly carries out special operations mission. However, since September 11, 2001 the US government has relied much more on SAD/SOG because fighting terrorists does not usually involve fighting other armies. Rather, it involves secretly moving in and out of countries like Pakistan, Iran and Somalia where the American military is not legally allowed to operate. If there are missions in these countries that are denied to U.S. military special operations forces, SAD/SOG units are the primary national special missions units to execute those operations. In the War on Terror, SAD has the lead in the covert war being waged against al Qaeda. SAD/SOG paramilitary teams have apprehended many of the senior leaders. These include: Abu Zubaydah, the chief of operations for al-Qaeda; Ramzi bin al-Shibh, the so-called the "20th hijacker"; Khalid Sheikh Mohammed, the mastermind of the September 11, 2001 attacks on New York City and Washington, D.C.; Abd al-Rahim al-Nashiri, alleged to be the mastermind of the USS Cole bombing and leader of al Qaeda operations in the Persian Gulf prior to his capture in November 2002; Abu Faraj al-Libi, al Qaeda's "field general" believed to have taken the role of No. 3 in al Qaeda following the capture of Khalid Sheikh Mohammed in Pakistan; and Mullah Abdul Ghani Baradar, the number two taliban commander and the highest level taliban commander apprehended in the Afghan War. Prior to the beginning of the "War on Terror", SAD/SOG located and captured many notable militants and international criminals, including Abimael Guzman and Carlos the Jackal. These were just three of the over 50 caught by SAD/SOG just between 1983 and 1995. The SAD/SOG teams have also been active in the Philippines, where 1,200 U.S. military advisers helped to train local soldiers in "counter-terrorist operations" against Abu Sayyaf, a radical Islamist group suspected of ties with al Qaeda. Little is known about this U.S. covert action program, but some analysts believe that "the CIA’s paramilitary wing, the Special Activities Division (SAD), has been allowed to pursue terrorist suspects in the Philippines on the basis that its actions will never be acknowledged". According to many experts, the Obama administration has relied on the CIA and their paramilitary capabilities, even more than they have on U.S. military forces, to maintain the fight against terrorists in the Afghanistan and Pakistan region, as well as places like Yemen, Somalia and North Africa. Ronald Kessler states in his book The CIA at War: Inside the Secret War Against Terror, that although paramilitary operations are a strain on resources, they’re winning the war against terrorism. The Fulton surface-to-air recovery system (STARS) is a system developed in the early 1950s by CIA paramilitary officers for retrieving persons on the ground from a MC-130E Combat Talon I aircraft. It uses a harness and a self-inflating balloon that carries an attached lift line. 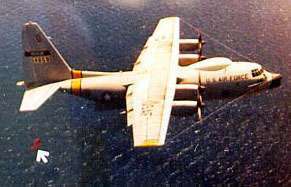 An MC-130E engages the line with its V-shaped yoke and the individual is reeled on board. Project COLDFEET was a very successful mission in 1962 in which two military officers parachuted into a remote abandoned Soviet site in the Arctic. The two were subsequently extracted by the Fulton sky hook. The team gathered evidence of advanced research on acoustical systems to detect under-ice US submarines and efforts to develop Arctic anti-submarine warfare techniques. Sergeant Major (SgtMaj) Billy Waugh was a Special Forces soldier attached to the CIA in the 1960s. During his time at MACV-SOG in Vietnam, he developed and conducted the first combat High Altitude-Low Opening (HALO) jump, "In October 1970, my team made a practice Combat Infiltration into the NVA owned War Zone D, in South Vietnam, for reassembly training, etc. This was the first one in a combat zone." HALO is a method of delivering personnel, equipment, and supplies from a transport aircraft at a high altitude via free-fall parachute insertion. HALO and HAHO (High Altitude-High Opening) are also known as Military Free Fall (MFF). In the HALO technique, the parachutist opens his parachute at a low altitude after free-falling for a period of time to avoid detection by the enemy. Waugh also led the last combat special reconnaissance parachute insertion into enemy territory occupied by communist North Vietnamese Army (NVA) troops on June 22, 1971. Jerry Daniels Call sign "Hog"
Wilbur "Will" Green. Call sign Black Lion. On October 25, 2003, paramilitary officers Christopher Mueller and William "Chief" Carlson were killed while conducting an operation to kill/capture high level al-Qa'ida leaders near Shkin, Afghanistan. Both these officers were honored with Stars on the CIA Memorial Wall at their Headquarters in Langley, Virginia. "The bravery of these two men cannot be overstated," Director of Central Intelligence George J. Tenet told a gathering of several hundred Agency employees and family members. "Chris and Chief put the lives of others ahead of their own. That is heroism defined." Mueller, a former US Navy SEAL and Carlson, a former Army Special Forces soldier, Delta Force operator, and member of the Blackfeet Nation in Montana, died while on this covert operation. Both officers saved the lives of others, including Afghan soldiers, during the engagement with al-Qa'ida forces. In Oliver North's book American Heroes in Special Operations, a chapter is devoted to their story. Virginia Hall Goillot started as the only female paramilitary officer in the OSS. She shot herself in the leg while hunting in Turkey in 1932, which was then amputated below the knee. She parachuted into France to organize the resistance with her prosthesis strapped to her body. She was awarded the Distinguished Service Cross. She married an OSS officer named Paul Goillot and the two joined the CIA as paramilitary operations officers in SAD. Once aboard, Mrs. Goillot made her mark as a political action officer playing significant roles in the Guatemala and Guyana operations. These operations involved the covert removal of the governments of these two countries, as directed by the President of the United States. E. Howard Hunt (October 9, 1918 – January 23, 2007) was an Ivy league educated Naval officer who joined the CIA in 1949 after serving with the OSS in World War II. Hunt was a political action officer in what came to be called their Special Activities Division. He became station chief in Mexico City in 1950, and supervised William F. Buckley, Jr., (Not to be confused with a famous SAD Paramilitary Officer of the same name) who worked for the CIA in Mexico during the period 1951–1952. Buckley, another SAD political action specialist, only served briefly in the CIA and went on to be considered the father of the modern American conservative movement. Buckley and Hunt remained lifelong friends. Hunt ran Operation PBSUCCESS, which overthrew the government in Guatemala in 1954, was heavily involved in the Bay of Pigs Invasion operation, frequently mentioned in the JFK assassination, and was one of the operatives in the Watergate scandal. Hunt was also a well-known author with over 50 books to his credit. These books were published under several alias names and several were made into motion pictures. David Atlee Phillips Perhaps the most famous propaganda officer ever to serve in CIA, Phillips began his career as a journalist and amateur actor in Buenos Aires, Argentina. He joined the Agency in the 1950s and was one of the chief architects of the operation to overthrow Communist president Arbenz in Guatemala in 1954. He was later heavily engaged as a principal member of the Bay of Pigs Task Force at Langley, and in subsequent anti-Castro operations throughout the 1960s. He founded the Association of Former Intelligence Officers (AFIO) after successfully contesting a libel suit against him. Kermit Roosevelt, Jr. (February 16, 1916 – June 8, 2000), was a political action officer in SAD who coordinated the Central Intelligence Agency's (CIA) Operation Ajax, which orchestrated the coup d’état against Iran's Mohammed Mossadegh and returned Mohammad Reza Pahlavi, the Shah of Iran, to Iran's Sun Throne in August 1953. He was also the grandson of American president Theodore Roosevelt. The CIA Memorial Wall is located at CIA headquarters in Langley, Virginia. It honors CIA employees who died in the line of duty. As of August 6, 2012, there were 113 stars carved into the marble wall, each one representing an officer. A majority of these were paramilitary officers. A black book, called the "Book of Honor", lies beneath the stars and is encased in an inch-thick plate of glass. Inside this book are stars, arranged by year of death, and the names of 77 employees who died in CIA service alongside them. The other names remain secret, even in death. Krav Maga - An Israeli martial art. ↑ Robberson, Tod (October 27, 2002). "CIA commandos remain covert". Dallas Morning News. ↑ Woodward, Bob (November 18, 2001). "Secret CIA Units Playing Central Combat Role". Washington Post. ↑ "Special Operations Forces (SOF) and CIA Paramilitary Operations: Issues for Congress, CRS-2" (PDF). ↑ Gup, Ted (2000). The Book of Honor: Cover Lives and Classified Deaths at the CIA. ↑ Managing Covert Political Action — Central Intelligence Agency. Cia.gov. Retrieved on 2014-05-24. ↑ "Joint Publication 1-02, Department of Defense Dictionary of Military and Associated Terms" (PDF). United States Department of Defense. October 17, 2008: 512. Archived from the original (PDF) on November 23, 2008. Retrieved November 29, 2008. 1 2 3 4 Douglas, Waller (February 3, 2003). "The CIA's Secret Army". Time. ↑ Mazzetti, Mark; Helene Cooper (February 26, 2009). "CIA Pakistan Campaign is Working Director Say". New York Times. p. A15. 1 2 3 Miller, Greg (July 14, 2009). "CIA Secret Program: PM Teams Targeting Al Qaeda". Los Angeles Times. p. A1. ↑ Mazzetti, Mark; Shane Scott (July 14, 2009). "CIA Had Plan To Assassinate Qaeda Leaders". New York Times. p. A1. ↑ "U.S. Aggressiveness towards Iran". Foreign Policy Journal. ↑ "Special OPS: America's elite forces in 21st century combat" By Fred J. Pushies, pg. 20 – Google Books. Google Books. Retrieved May 19, 2011. ↑ Vickers, Michael G (June 29, 2006). "Testimony of Michael G. Vickers on SOCOM's Mission and Roles to the House Armed Services Committee's Subcommittee on Terrorism, Unconventional Threats, and Capabilities" (PDF). United States House of Representatives. 1 2 3 "Osama bin Laden killed in CIA operation". The Washington Post. May 8, 2011. Retrieved May 19, 2011. 1 2 Dilanian, Ken (May 2, 2011). "CIA led U.S. special forces mission against Osama bin Laden". Los Angeles Times. Retrieved May 19, 2011. 1 2 "CIA Special Operations Group , Special Activities Division". Cia.americanspecialops.com. Retrieved May 19, 2011. ↑ "Special OPS: America's elite forces in 21st century combat" By Fred J. Push, pg. 24 – Google Books. Google Books. Retrieved May 19, 2011. ↑ "FAQs – Central Intelligence Agency". Cia.gov. Retrieved May 19, 2011. ↑ Luttwak, Edward N. (March 30, 1997). "The CIA Is Déclassé – By Edward N. Luttwak – Slate Magazine". Slate.com. Retrieved May 19, 2011. ↑ "globalsecurity.org: U.S. Special Operations Forces (SOF): Background and Issues for Congress" (PDF). Retrieved May 19, 2011. ↑ John Pike. "The Dallas Morning News October 27, 2002". Globalsecurity.org. Retrieved May 19, 2011. ↑ "Paramilitary Operations Officer/Specialized Skills Officer". 1 2 The CIA's Secret War in Tibet, Kenneth Conboy, James Morrison, The University Press of Kansas, 2002. ↑ Roberts, John B; Elizabeth A. Roberts (2009). Freeing Tibet: 50 years of struggle, resilience, and hope. New York, NY: AMACOM Books. p. 43. ISBN 978-0-8144-0983-1. Retrieved 5 March 2012. ↑ Dunham, Mikel (2004). Buddha's warriors: the story of the CIA-backed Tibetan freedom fighters, the Chinese invasion, and the ultimate fall of Tibet. New York, NY: Penguin. p. 315. ISBN 978-1-58542-348-4. Retrieved 5 March 2012. ↑ JOSEPH FITSANAKIS (March 14, 2009). "CIA veteran reveals agency's operations in Tibet". intelNews.org. Retrieved 17 December 2015. 1 2 "Korean War: CIA-Sponsored Secret Naval Raids". History Net. Retrieved May 19, 2011. ↑ "SECRETS OF HISTORY - The C.I.A. in Iran -- A special report. - How a Plot Convulsed Iran in '53 (and in '79)". The New York Times. 16 April 2000. Retrieved November 3, 2006. ↑ Anderson 1997, p. 693. ↑ "Death of Che Guevara". Gwu.edu. Retrieved May 19, 2011. ↑ "The History Place - Vietnam War 1945-1960". ↑ Air America and The Ravens- by Chris Robbins — Both are the history of CIA/IAD's war in Laos, providing biographies and details on such CIA Paramilitary Officers as Wil Green, Tony Poe, Jerry Daniels, Howie Freeman, Bill Lair, and the pilots, ground crew and support personnel managed by IAD/SOG/AIR BRANCH under the proprietaries Bird Air, Southern Air Transport, China Air Transport and Air America-- and the U.S. Air Force forward air controllers (RAVENS) who were brought in under CIA/IAD command and control as "civilians" to support secret combat ops in Laos. ↑ Douglas Valentine (2000). "The Phoenix Program". ↑ ^ Colby, William; Peter Forbath (1978) (extract concerning Gladio stay-behind operations in Scandinavia). Honorable Men: My Life in the CIA. London: Hutchinson. ↑ Shooting at the Moon by Roger Warner, The history of CIA/IAD'S 15-year involvement in conducting the secret war in Laos, 1960–1975, and the career of CIA PMCO (paramilitary case officer) Bill Lair. ↑ Burleson, Clyde W. The Jennifer Project. College Station, Texas: Texas A&M University Press, 1997. ISBN 0-89096-764-4. ↑ Sontag, Sherry (1998). Blind Man's Bluff: The Untold Story of American Submarine Espionage. Harper. ISBN 0-06-103004-X. ↑ Blind Man's Bluff: The Untold Story of American Submarine Espionage (paperback reprint ed.). New York City: HarperCollins. ISBN 0-06-103004-X. ↑ Blind Man's Bluff: The Untold Story of American Submarine Espionage (paperback reprint ed.) New York City: HarperCollins. ISBN 0-06-103004-X. ↑ Draper, Theodore (1991). A Very Thin Line: The Iran-Contra Affair. New York: Hill and Wang. ISBN 0-8090-9613-7. 1 2 Woodward, Bob (1987). VEIL: The Secret Wars of the CIA 1981–1987. New York: Simon and Schuster. ISBN 0-671-60117-2. ↑ Riesenfeld, Stefan A. (1987). "The Powers of Congress and the President in International Relations: Revisited". California Law Review. 75 (1): 405–414. JSTOR 3480586. ↑ Michael Smith (2007). Killer Elite. Macmillan. p. 52. ISBN 978-0-312-36272-0. ↑ Thomas Blanton & Peter Kornbluh (December 5, 2004). "Prisoner Abuse: Patterns from the Past". The National Security Archive. ↑ Tom Gibb (January 27, 2005). "Salvador Option Mooted for Iraq". BBC News. ↑ Michael Robert Patterson. "Lawrence N. Freedman, Sergeant Major, United States Army". Arlingtoncemetery.net. Retrieved May 19, 2011. ↑ The Book of Honor: Cover Lives and Classified Deaths at the CIA. Ted Gup, 2000, Doubleday. pp. 2, 286. ISBN 978-0-385-49293-5. 1 2 3 "NewsHour Extra: U.S. Goes After al-Qaida Suspects in Somalia". Pbs.org. January 10, 2007. Retrieved May 19, 2011. ↑ "U.S. Strikes In Somalia Reportedly Kill 31". January 8, 2007. 1 2 Bill RoggioSeptember 15, 2009 (September 15, 2009). "Commando raid in Somalia is latest in covert operations across the globe". The Long War Journal. Retrieved May 19, 2011. ↑ Bill RoggioSeptember 14, 2009 (September 14, 2009). "Senior al Qaeda leader killed in Somalia". The Long War Journal. Retrieved May 19, 2011. ↑ Bill RoggioJanuary 8, 2007 (January 8, 2007). "U.S. Gunship fires on al Qaeda Leader and Operative in Somalia". The Long War Journal. Retrieved May 19, 2011. ↑ "Operation Celestial Balance" – via YouTube. ↑ "Somalia,s NISA and CIA: An Effective Partnership Against AlQaeda". ↑ Somalia: Over 25 Dead and 40 Injured in Mogadishu Courthouse Siege. allAfrica.com (2013-04-15). Retrieved on 2014-05-24. ↑ Ian Cobain. "British 'al-Qaida member' killed in US drone attack in Somalia". the Guardian. ↑ "Moroccan jihadist killed in Somalia airstrike". ↑ "Navy SEALs rescue kidnapped aid workers Jessica Buchanan and Poul Hagen Thisted in Somalia". Washington Post. ↑ "U.S. Somalia raid is shape of war to come". UPI. ↑ Moore, J. Daniel. "First In: An Insider's Account of How the CIA Spearheaded the War on Terror in Afghanistan". Retrieved 12 September 2015. ↑ "Jawbreaker - CIA Special Activities Division". Retrieved 11 September 2015. 1 2 "CIA Confidential: Hunt for Bin Laden". National Geographic Channel. Archived from the original on February 13, 2010. Retrieved May 19, 2011. ↑ Woodward, Bob (2002) Bush at War, Simon & Schuster, Inc.
↑ Barcott, Bruce (May 17, 2009). "Special Forces". The New York Times. Retrieved March 27, 2010. 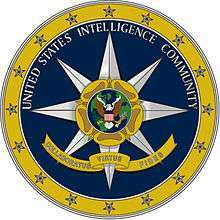 ↑ National Clandestine Service (NCS) — Central Intelligence Agency Archived October 2, 2013, at the Wayback Machine.. Cia.gov. Retrieved on 2014-05-24. ↑ The Attack on Bin Laden and Al-Qaeda, Gary Berntsen, Three Rivers Press ISBN 0-307-35106-8, Published December 24, 2006 (paperback). ↑ Scott Shane (November 28, 2009). "Senate Report Explores 2001 Escape by bin Laden From Afghan Mountains". The New York Times. Retrieved 17 December 2015. ↑ Fury, Dalton (writer), Kill Bin Laden, p. 233, published October 2008. ↑ Moore, Tina (November 29, 2009). "Bush adminstration [sic] could've captured terrorist Osama Bin Laden in December 2001: Senate report". NY Daily News. 1 2 Miller, Greg (September 20, 2009). "CIA expanding presence in Afghanistan". Los Angeles Times. Retrieved May 23, 2010. 1 2 3 4 Miller, Greg (September 20, 2009). "CIA expanding presence in Afghanistan". Los Angeles Times. Retrieved May 23, 2010. ↑ Mazzetti, Mark (January 1, 2010). "C.I.A. Takes On Bigger and Riskier Role on Front Lines". The New York Times. Retrieved March 27, 2010. 1 2 "This Week at War: Send in the Spies". Foreign Policy. Retrieved May 19, 2011. 1 2 Cole, Matthew (February 19, 2010). "CIA'S Influence Wanes in Afghanistan War, Say Intelligence Officials". ABC News. Retrieved May 19, 2011. ↑ Jaffe, Greg (July 24, 2010). "Gen. Stanley A. McChrystal's retirement ceremony marked by laughter and regret". The Washington Post. ↑ "McChrystal exit must be followed by new strategy". SeacoastOnline.com. Retrieved May 19, 2011. ↑ Obama's Wars, Bob Woodward, Simon and Schuster, 2010 page 355. ↑ Whitlock, Craig (September 22, 2010). "Book tells of secret CIA teams staging raids into Pakistan". The Seattle Times. Archived from the original on February 22, 2011. 1 2 3 Whitlock, Craig; Miller, Greg (September 23, 2010). "Paramilitary force is key for CIA". The Washington Post. ↑ Devine, Jack (July 29, 2010). "The CIA Solution for Afghanistan". The Wall Street Journal. ↑ "'Good Taliban' leader Mullah Nazir killed in US drone strike". ↑ "CIA digs in as Americans withdraw from Iraq, Afghanistan". Washington Post. ↑ CIA could control forces in 'Stan after 2014 | Army Times. armytimes.com. Retrieved on 2014-05-24. 1 2 3 Haynes, Deborah (November 10, 2002). "Al-Qaeda stalked by the Predator". The Times. London. Retrieved March 27, 2010. 1 2 "U.S. kills al-Qaeda suspects in Yemen". USA Today. November 5, 2002. ↑ Priest, Dana (January 27, 2010). "U.S. military teams, intelligence deeply involved in aiding Yemen on strikes". The Washington Post. Retrieved March 30, 2010. ↑ "Exclusive: CIA Aircraft Kills Terrorist – ABC News". Abcnews.go.com. May 13, 2005. Retrieved May 19, 2011. ↑ "The Predator". CBS News. January 7, 2003. ↑ "CIA 'killed al-Qaeda suspects' in Yemen". BBC News. November 5, 2002. 1 2 Priest, Dana (January 27, 2010). "U.S. military teams, intelligence deeply involved in aiding Yemen on strikes". The Washington Post. Retrieved March 30, 2010. ↑ Amanullah, Zahed (December 30, 2009). "Al-Awlaki, a new public enemy". The Guardian. London. Retrieved March 27, 2010. ↑ "Same US military unit that got Osama bin laden killed Anwar al-Awlaki". Telegraph.co.uk. September 30, 2011. 1 2 "A firefight in the mountains: Operation Viking Hammer was one for the record books". US News and World Report. Retrieved May 19, 2011. 1 2 3 "A firefight in the mountains: Operation Viking Hammer was one for the record books". US News and World Report. March 28, 2004. Retrieved May 19, 2011. 1 2 "Operation Hotel California: The Clandestine War Inside Iraq – Central Intelligence Agency". Cia.gov. July 2, 2010. Retrieved May 19, 2011. ↑ Jeffrey Fleishman (April 27, 2003). "Militants' crude camp casts doubt on U.S. claims". Los Angeles Times. ↑ "An interview on public radio with the author". WAMU radio. Archived from the original on September 30, 2011. Retrieved May 19, 2011. ↑ "Behind lines, an unseen war," Faye Bowers, Christian Science Monitor, April 2003. 1 2 'Black ops' shine in Iraq War, VFW Magazine, Feb, 2004, Tim Dyhouse. ↑ "CNN.com - Saddam 'caught like a rat' in a hole - Dec. 15, 2003". ↑ "Secret killing program is key in Iraq, Woodward says". CNN. September 9, 2008. Retrieved March 30, 2010. ↑ "Bob Woodward "60 Minutes" Highlights". YouTube. September 7, 2008. Retrieved May 19, 2011. ↑ "New U.S. Commander In Afghanistan To Be Tested". NPR. Retrieved May 19, 2011. ↑ Gibbons-Neff, Thomas (July 15, 2014). "Legendary Marine Maj. Zembiec, the 'Lion of Fallujah,' died in the service of the CIA". The Washington Post. Retrieved July 17, 2014. ↑ Warden, James (February 2, 2008). "Helipad renamed to honor Marine". Stars and Stripes. ↑ Rubin, Alissa J. (February 1, 2008). "Comrades Speak of Fallen Marine and Ties That Bind". New York Times. ↑ "Legendary Marine Maj. Zembiec, the 'Lion of Fallujah,' died in the service of the CIA". Washington Post. ↑ "US choppers attack Syrian village near Iraq border". International Herald Tribune. October 26, 2008. Archived from the original on October 29, 2008. Retrieved October 26, 2008. ↑ "Syria: U.S. Attack Kills 8 In Border Area: Helicopters Raid Farm In Syrian Village; Al Qaeda Officer Was Target Of Rare Cross-Border attack". CBS News. October 26, 2008. Retrieved October 26, 2008. ↑ "U.S. Official: Unclear If Al Qaeda Coordinator Killed in Syria Raid". Fox News. 1 2 "David Ignatius: U.S. boots are already on the ground against the Islamic State". Washington Post. ↑ Dion Nissenbaum And Joe Parkinson (August 11, 2014). "U.S. Giving Aid to Iraqi Kurds Battling Islamic State, or ISIS - WSJ". WSJ. ↑ "Unleashed CIA Zapped 8 Qaeda Lieutenants Since July". Daily News. New York. January 18, 2009. Archived from the original on May 31, 2011. ↑ Alderson, Andrew (November 22, 2008). "British terror mastermind Rashid Rauf 'killed in US missile strike'". The Daily Telegraph. London. Retrieved March 27, 2010. ↑ Washington, The (January 16, 2009). "U.S. strikes more precise on al Qaeda". Washington Times. Retrieved May 19, 2011. ↑ "The Meaning of al Qaeda's Double Agent". The Wall Street Journal. January 7, 2010. ↑ "Pakistan: Suspected U.S. Missile Strike Kills 27". Fox News. ↑ Chris Woods (14 April 2014). "CIA's Pakistan drone strikes carried out by regular US air force personnel". The Guardian. Retrieved 14 April 2014. ↑ Gerstein, Josh. "CIA Director Panetta Warns Against Politicization". NBC New York. Retrieved May 19, 2011. ↑ Ignatius, David (April 25, 2010). "Leon Panetta gets the CIA back on its feet". The Washington Post. ↑ Kelly, Mary Louise (July 22, 2009). "Bin Laden Son Reported Killed In Pakistan". NPR.org. 1 2 Mark Mazzetti, Eric P. Schmitt (August 6, 2009). "C.I.A. Missile Strike May Have Killed Pakistan's Taliban Leader, Officials Say". The New York Times. Retrieved August 9, 2009. ↑ Moreau, Ron & Yousafzai, Sami (August 7, 2009). "The End of Al Qaeda?". Newsweek. Retrieved August 9, 2009. ↑ "Airstrike forces Taliban to cancel meeting". UPI.com. September 9, 2009. Retrieved May 19, 2011. 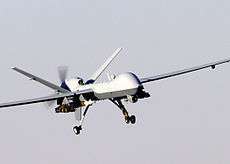 ↑ Suspected US drone killed up to 10 in Pakistan, Haji Mujtaba, Reuters.com, September 8. 1 2 Shane, Scott (December 4, 2009). "C.I.A. to Expand Use of Drones in Pakistan". The New York Times. Retrieved March 27, 2010. ↑ "Al Qaeda Operations Planner Saleh Al-Somali Believed Dead in Drone Strike – ABC News". Abcnews.go.com. December 11, 2009. Retrieved May 19, 2011. ↑ Sabloff, Nick (February 8, 2009). "Saleh al-Somali, Senior al-Qaida Member, Reportedly Killed In Drone Attack". Huffington Post. Retrieved May 19, 2011. ↑ Roggio, Bill, Long War Journal, January 7, 2010. ↑ Gall, Carlotta (February 1, 2010). "Hakimullah Mehsud". The New York Times. Retrieved May 23, 2010. ↑ Mazzetti, Mark; Filkins, Dexter (February 16, 2010). "Secret Joint Raid Captures Taliban's Top Commander". The New York Times. Retrieved March 27, 2010. ↑ "Capture A Coup For U.S.-Pakistani Spy Agencies". NPR. February 16, 2010. Retrieved May 19, 2011. 1 2 "Capture may be turning point in Taliban fight". CNN. February 16, 2010. Retrieved March 30, 2010. ↑ Filkins, Dexter (February 18, 2010). "In Blow to Taliban, 2 More Leaders Are Arrested". The New York Times. Retrieved March 27, 2010. ↑ "Drone strike kills son of militant linked to Taliban, al Qaeda". CNN. February 19, 2010. Retrieved March 30, 2010. ↑ Schmitt, Eric (May 31, 2010). "American Strike Is Said to Kill a Top Qaeda Leader". The New York Times. ↑ Archived October 24, 2010, at the Wayback Machine. ↑ Gardham, Duncan (September 28, 2010). "Terror plot against Britain thwarted by drone strike". The Daily Telegraph. London. ↑ "US forces kill Osama bin Laden in Pakistan – World news – Death of bin Laden". MSNBC. February 5, 2011. Retrieved May 19, 2011. ↑ "US forces kill Osama bin Laden in Pakistan". msnbc.com. May 2, 2011. Retrieved 17 December 2015. ↑ Gaffney, Frank J. (May 2, 2011). "GAFFNEY: Bin Laden's welcome demise". Washington Times. Retrieved May 19, 2011. ↑ "Intelligence break led to bin Laden's hide-out". Washington Times. May 2, 2011. Retrieved May 19, 2011. ↑ Schwartz, Mathew J. "Cracking Bin Laden's Hard Drives". InformationWeek. Retrieved May 19, 2011. ↑ "Osama bin Laden Killed by U.S. Forces – Local News – Wilkes-Barre, PA". MSNBC. Archived from the original on May 6, 2011. Retrieved May 19, 2011. ↑ "Counterterrorism chief declares al-Qaida 'in the past'". MSNBC. February 5, 2011. Retrieved May 19, 2011. ↑ Ross, Tim (May 4, 2011). "Osama bin Laden dead: trusted courier led US special forces to hideout". London: Telegraph. Retrieved May 19, 2011. ↑ Gloria Borger, CNN Senior Political Analyst (May 20, 2011). "Debate rages about role of torture". CNN. Retrieved May 19, 2011. ↑ Mazzetti, Mark; Cooper, Helene; Baker, Peter (May 2, 2011). "Clues Gradually Led to the Location of Osama bin Laden". The New York Times. ↑ "Pakistan rattled by news of CIA safe house in Abbottabad – World Watch". CBS News. May 6, 2011. Archived from the original on October 9, 2013. Retrieved May 19, 2011. 1 2 Jaffe, Greg (September 11, 2001). "CIA spied on bin Laden from safe house". The Washington Post. Retrieved May 19, 2011. ↑ "Pakistani Spy Chief Under Fire". The Wall Street Journal. May 7, 2011. Retrieved May 19, 2011. ↑ Charles S. Faddis, Special to CNN (May 20, 2011). "Can the U.S. trust Pakistan?". CNN. Retrieved May 19, 2011. ↑ 05/06/2011. "Levin: Pakistan Knew Osama Bin Laden Hiding Place". ABC News. Retrieved May 19, 2011. ↑ Alexander, David (May 6, 2011). "Bin Laden death may be Afghan game-changer: Gates". Reuters. Retrieved May 19, 2011. ↑ "CLANDESTINE SERVICE HISTORY: OVERTHROW OF PREMIER MOSSADEQ OF IRAN - November 1952-August 1953". WebCite. Archived from the original on June 9, 2009. ↑ O'Reilly, Kevin (2007). Decision Making in U.S. History: The Cold War & the 1950s. Social Studies. pp. 108. ISBN 1-56004-293-1. ↑ Mohammed Amjad. Iran: From Royal Dictatorship to Theocracy. Greenwood Press, 1989. p. 62 "the United States had decided to save the 'free world' by overthrowing the democratically elected government of Mossadegh." ↑ "The 1953 Coup D'etat in Iran". Archived from the original on June 8, 2009. Retrieved June 6, 2009. ↑ "Iran-U.S. Hostage Crisis(1979–1981)". Historyguy.com. Retrieved May 19, 2011. ↑ Mark Bowden (1 May 2006). "The Desert One Debacle". The Atlantic. Retrieved 17 December 2015. ↑ "Preparing the Battlefield". The New Yorker. July 7, 2008. ↑ Finn, Peter (July 22, 2010). "Retired CIA veteran will return to head clandestine service". The Washington Post. ↑ "Live Blog – Libya". Al Jazeera. February 17, 2011. Retrieved February 23, 2011. ↑ "News , Libya February 17th ". Libyafeb17.com. Retrieved February 23, 2011. ↑ Allen, Bennett. "C.I.A. Operatives on the Ground in Libya". Vanity Fair. Retrieved May 19, 2011. ↑ Levinson, Charles (April 1, 2011). "Ragtag Rebels Struggle in Battle". The Wall Street Journal. Retrieved May 19, 2011. ↑ "Gates: No Ground Troops in Libya on His Watch". Military.com. March 31, 2011. Retrieved May 19, 2011. ↑ Stars and Stripes (Europe Edition), April 1, 2011, "Gates: No Troops in Libya on my watch"
↑ "UPDATED: Gates calls for limited role aiding Libyan rebels". The Daily Breeze. March 9, 2010. Retrieved May 19, 2011. ↑ Jaffe, Greg (March 30, 2011). "In Libya, CIA is gathering intelligence on rebels". The Washington Post. Retrieved May 19, 2011. ↑ "PressTV-CIA men, US forces entered Syria: Report". ↑ Sanchez, Raf (September 3, 2013). "First Syria rebels armed and trained by CIA 'on way to battlefield'". The Daily Telegraph. London. ↑ Withnall, Adam (September 3, 2013). "Syria crisis: First CIA-trained rebel unit about to join fighting against Assad regime, says President Obama". The Independent. London. ↑ "CIA overseeing supply of weapons to Syria rebels". The Australian. September 7, 2013. ↑ "CIA ramping up covert training program for moderate Syrian rebels". Washington Post. ↑ "David Ignatius: Regional spymasters make tactical changes to bolster Syrian moderates". Washington Post. ↑ Steve Coll (2004). Ghost Wars: The Secret History of the CIA, Afghanistan, and Bin Laden, from the Soviet Invasion to September 10, 2001. Penguin. ISBN 978-1-59420-007-6. ↑ Douglas, Waller (February 3, 2003). "The CIA Secret Army". TIME (Time Inc). ↑ Shane, Scott (June 22, 2008). "Inside a 9/11 Mastermind's Interrogation". The New York Times. Retrieved March 27, 2010. ↑ Eggen, Dan; Pincus, Walter (December 18, 2007). "FBI, CIA Debate Significance of Terror Suspect". The Washington Post. Retrieved March 30, 2010. ↑ "Bin al-Shibh to go to third country for questioning". CNN. September 17, 2002. Retrieved March 30, 2010. ↑ "Pakistan seizes 'al Qaeda No. 3'". CNN. May 5, 2005. Retrieved March 30, 2010. ↑ "Mullah Abdul Ghani Baradar: Afghan Top Taliban Captured, Talking To Authorities – ABC News". Abcnews.go.com. February 16, 2010. Retrieved May 19, 2011. ↑ Daugherty (2004), Preface XIX. 1 2 Risen, James; Johnston, David (December 15, 2002). "Bush Has Widened Authority of C.I.A. to Kill Terrorists". The New York Times. Retrieved March 27, 2010. ↑ "This Week at War: Company Men – By Robert Haddick". Foreign Policy. Retrieved May 19, 2011. 1 2 Stein, Jeff (December 30, 2010). "SpyTalk – 2010: CIA ramps way up". Voices.washingtonpost.com. Retrieved May 19, 2011. ↑ Tiku, Nitasha. "Obama's National-Security Picks Cross the Line Between Spy and Soldier – Daily Intel". Nymag.com. Retrieved May 19, 2011. ↑ Devine, Jack (July 29, 2010). "The CIA Solution for Afghanistan". The Wall Street Journal. Retrieved May 19, 2011. ↑ Daugherty (2004), Page XIX. 1 2 "Seven Days in the Arctic". CIA. Retrieved May 19, 2011. 1 2 "IACSP_MAGAZINE_V11N3A_WAUGH.indd" (PDF). Retrieved May 19, 2011. 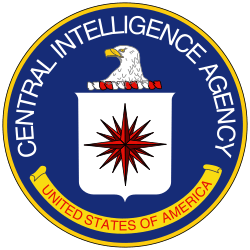 1 2 "CIA Remembers Employees Killed in the Line of Duty – Central Intelligence Agency". CIA. Retrieved May 19, 2011. ↑ "William Francis (Chief) Carlson – CIA – Special Forces – Roll Of Honour". Specialforcesroh.com. Retrieved May 19, 2011. ↑ Jehl, Douglas (October 29, 2003). "Two C.I.A. Operatives Killed In an Ambush in Afghanistan". New York Times. Retrieved May 19, 2011. ↑ North, Oliver (2010). American Heroes in Special Operations. B&H Publishing Group. ISBN 9780805447125. Retrieved 3 February 2014. ↑ William F. Buckley, Jr. (January 26, 2007), "Howard Hunt, RIP"
1 2 3 4 "The Stars on the Wall." Central Intelligence Agency, April 24, 2008. 1 2 3 Gup, Ted. "Star Agents: The anonymous stars in the CIA's Book of Honor memorialize covert operatives lost in the field Archived April 29, 2009, at the Wayback Machine.." Washington Post September 7, 1997. Air America and The Ravens- by Chris Robbins — Both are the history of CIA/IAD's war in Laos, providing biographies and details on such legendary CIA PMCOs as Wil Green, Tony Poe, Jerry Daniels, Howie Freeman, Bill Lair, and the pilots, ground crew and support personnel managed by IAD/SOG/AIR BRANCH under the proprietaries Bird Air, Southern Air Transport, China Air Transport and Air America—and the U.S. Air Force forward air controllers (RAVENS) who were brought in under CIA/IAD command and control as "civilians" to support secret combat ops in Laos. Raiders of the China Coast by Frank Holober — History of CIA/IAD paramilitary operations in the Taiwan Straits, 1947–1955, with details on such PMCOs as Ernie Tskikerdanos. Kill bin Laden, by Dalton Fury, St. Martin's Press, October 2008. Inside Delta Force, Haney, Eric L. (2002), New York: Delacorte Press, 325. ISBN 978-0-385-33603-1. Orphans Of The Cold War: America And The Tibetan Struggle For Survival, John Kenneth Knaus, 1999 IBN 1891620851.